OHS biology teachers now have specialized equipment to give their students an active learning experience in the study of neuroscience. 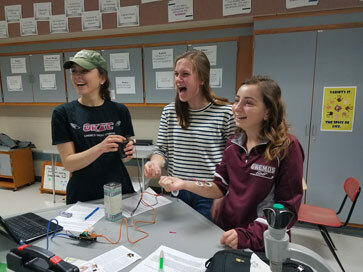 OHS teacher Colleen Palmer requested an OEF grant to purchase three Human to Human Electrophysiology devices, equipment which allows users to see (and feel) how the human brain transmits messages through our neurons. Our brains constantly send electrical impulses to our neurons, telling them to perform everyday functions such as squeezing our hands or raising our arms. When hooked up to this new equipment, the brain’s electrical impulses are detected, then amplified and transmitted to another person, causing that second person’s arm to rise or fist to squeeze. 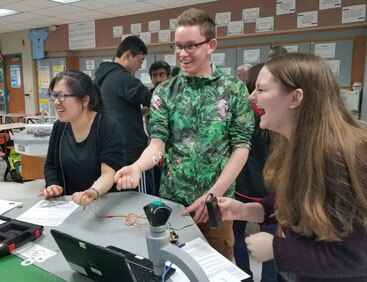 Students were able to experience having their arm be controlled by the brain of their peer, making a memorable impression about the functionality of our neurons. Most students laughed during the experience. “This feels so weird!” was a common exclamation. A few disliked the sensation, but all left the lesson with a much clearer understanding of how our neurons, brain, and muscles work together. Greg Gage of Backyard Brains, the manufacturer of the equipment, states that neurological disorders affect 20% of the population but that effective treatments for these disorders continue to elude scientists. Traditional equipment used to study brain science is complicated and expensive, and therefore, inaccessible to most students. Gage’s goal in creating these new devices is to provide less sophisticated equipment that can teach neuroscience to a wider audience, hoping to inspire young people to pursue careers in the field. Watch Gage's TED Talk here. 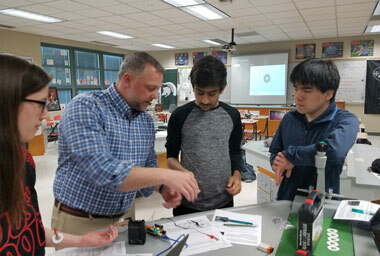 The OEF is grateful to the OHS biology teachers for requesting this equipment and helping to inspire our own students here in Okemos. 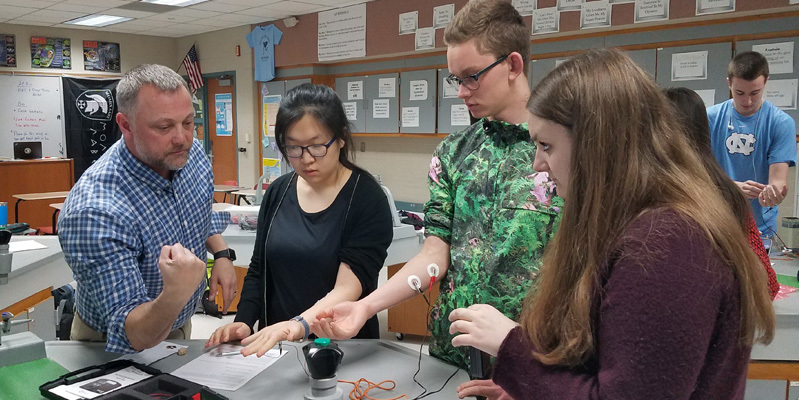 Photos: OHS science teacher Kelly Carrier uses the new equipment in his AP Biology class, March 2018.